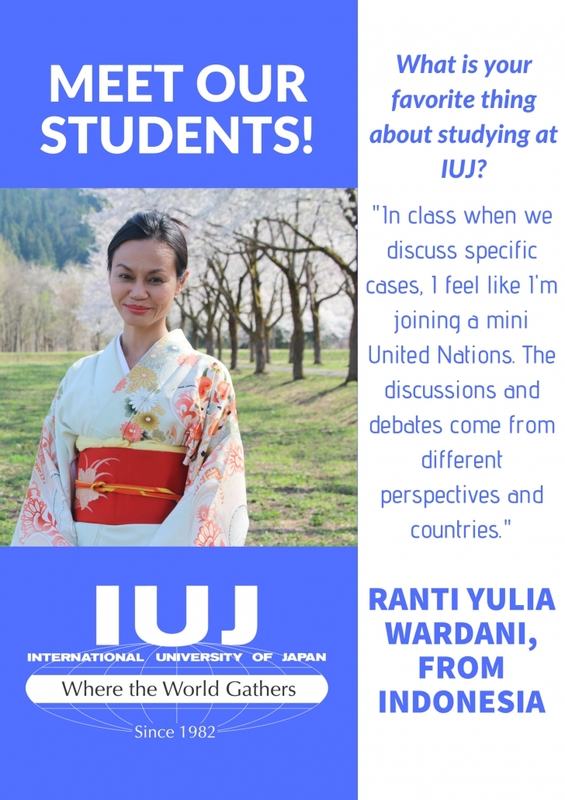 Living in Japan right now, and looking to further your education? The International University of Japan is holding an information session in Tokyo on Saturday, December 1st from 2pm until 4pm, to give prospective students insight into what the school has to offer. 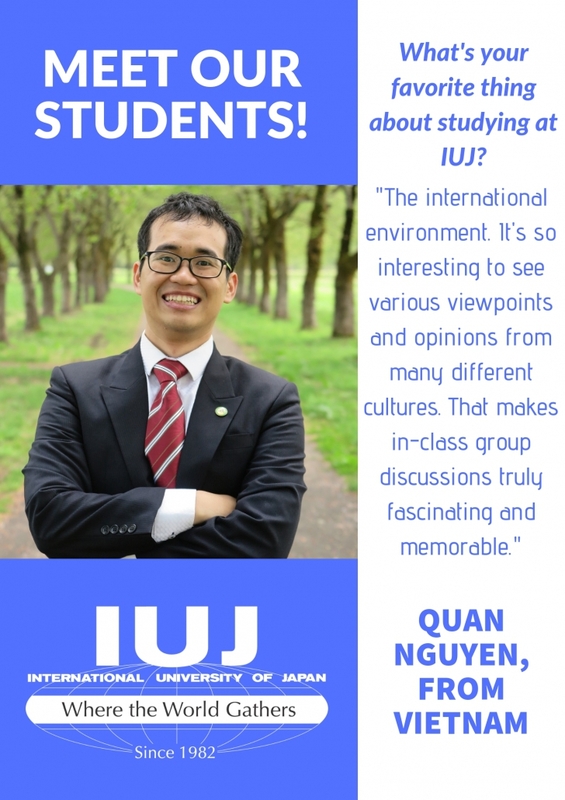 IUJ was established in 1982 as the first English-language graduate school in Japan. 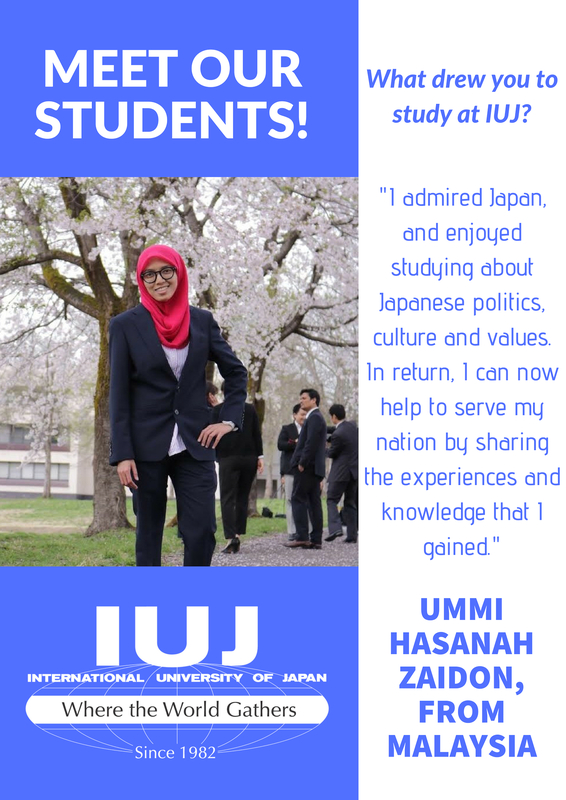 Currently, 360 students from 60 countries undertake studies at the university, with over 4,000 additional alumni hailing from a total of 128 countries. It truly lives up to being the university Where the World Gathers. To register your attendance, please follow the link to the Application Form and submit by Wednesday, November 28. If you are not able to attend this session, we have more sessions scheduled below. 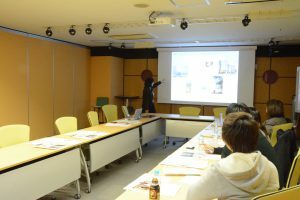 The Open Campus will be held on Saturday, November 24. IUJ holds the Information Session in Delhi, India on 26th October.